More than 562 acres of battlefield will be placed under protection through grants from this year’s Virginia Battlefield Preservation Fund. The awards totaling $1.15 million will be disbursed by the Department of Historic Resources (DHR) to the American Battlefield Trust and the Shenandoah Valley Battlefields Foundation. These nonprofit organizations will use the state funds awards to secure matching private donations with the goal of preserving targeted acreage. The Shenandoah Valley Battlefields Foundation (SVBF) will receive up to $255,000 to purchase a land tract in Frederick County associated with the Battle of Opequon (also known as Third Winchester) and an easement on farmland in Shenandoah County connected to the Battle of Toms Brook. The American Battlefield Trust (ABT) will receive as much as $895,000 to purchase acreage connected with the battles of Cold Harbor and North Anna (both in Hanover Co.), Second Deep Bottom and New Market Heights (Henrico Co.), Reams Station (Dinwiddie Co.), Rappahannock Station II (Culpeper Co.), Yorktown, and the Siege of Petersburg between June 1864 and April 1864, when Union forces tried to break the Confederate army of Gen. Robert E. Lee. More than 48 acres in York County encompassing the Yorktown Bluffs are associated with the Civil War’s 1862 Battle of Yorktown (also known as the Siege of Yorktown) and the Revolutionary War’s culminating 1781 Siege of Yorktown, making it the first time Virginia Battlefield Preservation Funds will be applied to a Revolutionary War battlefield. Originally established by the General Assembly in 2010 in advance of the Sesquicentennial Anniversary of the Civil War, legislators subsequently amended the battlefield funds legislation to cover lands connected to battles during the Revolutionary War and the War of 1812. 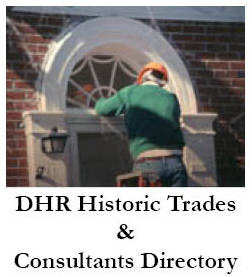 The receipt of a state battlefield grant requires that an easement be donated to DHR’s Virginia Board of Historic Resources on the lands acquired using the funds. The easements, which restrict or forbid development of the acreage, will protect the battlefield lands in perpetuity. The awards to the ABT and SVBF are the result of a rigorous evaluation process conducted by DHR, which received applications requesting more in battlefield grants than allotted funds could stretch. DHR based its evaluations in part on each battlefield’s significance as determined by the Congressionally-commissioned “Report on the Nation’s Civil War Battlefields” issued in 1993 and subsequently updated. Other factors considered by the department included the proximity of each parcel to other protected lands; the threat of loss due to encroaching development; and the potential for education, recreation, research, or heritage tourism, among other factors. 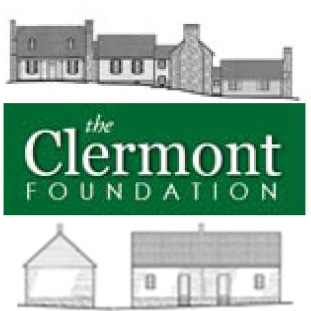 “The award of these funds demonstrates the Commonwealth’s continued commitment to the preservation of significant historic battlefield properties as well as the perpetual protection of open space for the benefit of future generations of residents and visitors,” explained Julie V. Langan, Director of DHR. Civil War and colonial and Revolutionary War-era heritage tourism are important to Virginia’s economy. A 2015 economic impact study requested by the Virginia Sesquicentennial of the American Civil War Commission showed that the 150th anniversary (2011 to 2015) of the war brought more than 3.7 million people and $290 million to Virginia, where roughly a third of all the Civil War’s major battles were fought. In addition to supporting heritage tourism, the preservation of battlefield lands also serves many conservation and recreational goals. Preserved battlefield acreage protects wetlands, timberlands, wildlife habitats, and farm lands still in use while remaining under private ownership. Many of the open-space sites also offer places for recreation near to growing urban areas. The Civil War Battle of Yorktown (also known as the Siege of Yorktown) was fought from April 5 to May 4, 1862, as part of Union Maj. Gen. George B. McClellan’s Peninsula Campaign. Marching from the Union-occupied Fort Monroe in Hampton, McClellan’s Army of the Potomac encountered Maj. Gen. John B. Magruder’s Confederate force at Yorktown entrenched behind the Confederates’ defensive Warwick Line, prompting McClellan to suspend his march up the Peninsula toward Richmond. On April 5 McClellan’s forces began constructing siege fortifications, placing heavy guns to the front of Union lines. After an ultimately failed attack on April 16, McClellan stalled for two additional weeks, trying to persuade the U.S. Navy to bypass the Confederate guns at Yorktown and ascend the York River to West Point, thereby outflanking the Warwick Line. McClellan next planned a massive bombardment of the Confederates on May 5, but Confederates slipped away toward Williamsburg during the night of May 3. The Yorktown Bluffs were also witness to the Revolutionary War’s Siege of Yorktown, during which the combined forces of American Continental Army troops led by Gen. George Washington and French Army troops led by the Comte de Rochambeau prevailed over a British Army commanded by Lt. Gen. Charles Cornwallis, who capitulated to the American and French forces, ending the Revolutionary War. In the approaching winter of 1863, Confederate Gen. Robert E. Lee drew his forces south across the Rappahannock River except for a bridgehead protected by earthworks at Rappahannock Station (now the village of Remington) on the Orange and Alexandria Railroad. On 7 November 1863, Union Maj. Gen. George Gordon Meade set his troops in motion in an attempt to spark a major engagement with Lee’s forces. The Union VI Corps under Maj. Gen. John Sedgwick struck the Confederate outpost at Rappahannock Station. Confederate defenders under Maj. Gen. Jubal A. Early held on throughout the day, but a rare night attack by Sedgwick’s men overran the Confederates, resulting in a Union victory. More than 1,600 Confederates became casualties while the Union lost around 400 men. The Battle of North Anna was part of the Overland Campaign, during which Lt. Gen. Ulysses S. Grant maneuvered his Army of the Potomac toward Richmond. On May 23, 1864, Union Maj. Gen. Winfield S. Hancock’s II Corps captured the Chesterfield Bridge over the North Anna River. Upstream, near Jericho Mill, Maj. Gen. Gouverner K. Warren’s V Corps crossed the river and fought to hold its ground. In response, Confederate Gen. Robert E. Lee repositioned his defensive line, pulling back some troops but continuing to occupy a strong position at Ox Ford, on the river. In heavy fighting on May 24, the Confederates repulsed several Federal attacks. Lee was ill and did not follow up with an offensive strike. After some skirmishing on May 25 and 26, Grant withdrew from the North Anna and began moving his army around Lee’s right flank, pushing toward Richmond. The Union forces suffered 2,600 casualties, while the Confederates lost 1,800. Fought between May 31 and June 12, 1864, the Battle of Cold Harbor was the final engagement of Union Lt. Gen. Ulysses S. Grant’s 1864 Overland Campaign. One of U.S. history’s bloodiest and most lopsided battles, Cold Harbor’s most significant and fiercest fighting occurred on June 3, when thousands of Union soldiers were slaughtered while undertaking a hopeless frontal assault against the fortified troops of Confederate Gen. Robert E. Lee. The battle represented one of the last of Gen. Lee’s victories. 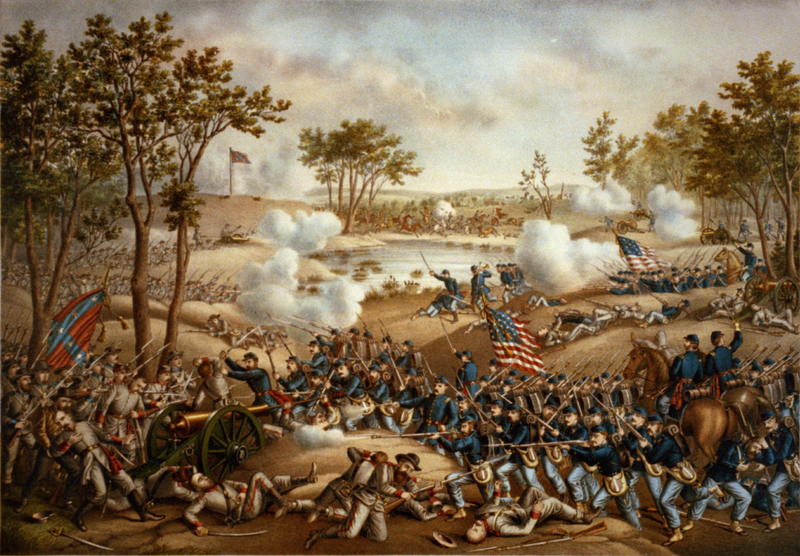 After this battle, Grant gave up the idea of a direct attack on Richmond. Union forces suffered 1,845 killed and 9,077 wounded; Confederates had 788 killed, and 3,376 wounded. On 22 June 1864 Federal cavalry divisions under Brig. Gen. James H. Wilson and Brig. Gen. August V. Kautz began a week-long raid to the south and west of Petersburg. They tore up about 60 miles of railroad track in an effort to disrupt the Confederate supply line. On June 29, pursued by Confederate cavalry, they arrived at Ream’s Station on the Petersburg Railroad, south of that city. They hoped to find support from Union infantry but instead encountered Maj. Gen. William Mahone’s Confederate division. Mahone’s men attacked Kautz’s troops, while two other Confederate brigades made their way past two Union regiments stationed along the Stage Road to the northwest. The Union forces hastily retreated, leaving behind equipment and about 300 escaped slaves. The Second Battle of Ream’s Station took place in August 1864, when Union troops occupied the area while destroying miles of railroad track. Gen. Robert E. Lee ordered cavalry and infantry units to dislodge the Federals. The attack on August 25 resulted in a Confederate victory, including the capture of about 2,000 prisoners. The Union troops retreated to Petersburg, where a long siege was underway. Union Gen. Ulysses S. Grant launched the Second Battle of Deep Bottom on the night of August 13–14, 1864. The action, a feint against the eastern defenses of Richmond, was intended to prompt Confederate Gen. Robert E. Lee to drain men from Petersburg to protect the capital city. Maj. Gen. Winfield S. Hancock commanded the force, which consisted of Maj. Gen. David B. Birney’s X Corps and Brig. Gen. David M. Gregg’s cavalry division, as well as Hancock’s II Corps. After crossing the James River, II Corps remained at Deep Bottom while Birney led his corps north to confront Confederate Maj. Gen. Charles M. Field’s force defending New Market Heights. Delayed by the heat and humidity, Birney failed to break through Field’s defenses on Darbytown Road on August 16, while Confederate Maj. Gen. William H. F. “Rooney” Lee’s cavalry likewise stymied Gregg to the north on Charles City Road. After some desultory skirmishing, Hancock returned his force across the river on the night of August 20–21. Hancock suffered about 2,900 casualties and the Confederates about 1,300. Despite the lack of a Federal breakthrough, Grant’s plan succeeded—at least temporarily—in causing Lee to shift troops from Petersburg. Also known as the Third Battle of Winchester, the Battle of Opequon was fought on September 19, 1864 between the armies of Union Maj. Gen. Philip H. Sheridan and Confederate Lt. Gen. Jubal A. Early. It was the largest battle fought in the Shenandoah Valley during the war. Before dawn, Union Brig. Gen. James Wilson’s cavalry division crossed Opequon Creek at Spout Spring and advanced through a defile known as Berryville Canyon, followed by Sheridan’s infantry. They attacked Confederate Maj. Gen. Stephen Ramseur’s division before noon. Both sides fought desperately and took heavy losses. While one Union division was pinned down, two others nearly collapsed the right flank of Ramseur’s division. Confederate Maj. Gen. Robert E. Rodes counterattacked around 1:30 p.m. In response, Sheridan ordered all of his reserves and cavalry to strike the Confederate flanks, resulting in Early’s line dissolving and fleeing in panic. The battle was costly to both sides, totaling 9,000 casualties combined, but it turned the tide for the Union in the Valley for the remainder of the war. New Market Heights, Henrico Co. Fought on 9 October 1864, the Battle of Tom’s Brook pitted Union and Federal cavalry against one another. Seeking to avenge the burning of barns and mills by Federal forces under Maj. Gen. Philip Sheridan, Confederate cavalry under Brig. Gen. Thomas L. Rosser harried Sheridan. In response, Sheridan ordered cavalry under Brig. Gen. Alfred Torbert to “whip” the Confederates. The two cavalries met in battle at Tom’s Brook, with the Union attacking at dawn and eventually routing the Confederates who hastily retreated, abandoning cannons and baggage and suffering about 350 casualties. Losing about 60 men in the battle, the Union cavalry henceforth dominated the Confederates in the Shenandoah Valley.